Using data from the U.S. Department of Justice (DOJ), Public Employees for Environmental Responsibility (PEER), a liberal environmental group, reported that the EPA’s criminal enforcement division under President Donald Trump is reaching new lows in the number of referrals for prosecution it makes to the DOJ. “In 2018, the EPA generated the fewest new criminal case referrals for prosecution than any year since 1988,” states PEER. In FY 2018 (ending in October), the EPA made only 166 referrals for prosecution to the DOJ. That represents a nearly 60 percent reduction from 2011 and a 72 percent decline from the level of enforcement activity 20 years ago in 1998. EPA cases resulted in only 62 convictions in FY 2018, fewer than any year dating back to 1992. The Trump EPA has made it quite clear that it is not interested in setting enforcement records. In August 2018, the Agency’s Office of Enforcement and Compliance Assurance (OECA) announced that it was changing the name of its National Enforcement Initiatives program to the National Compliance Initiatives (NCI) program. 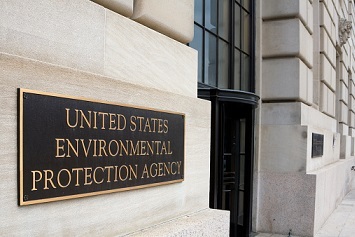 The renamed program places a stronger emphasis on assistance and operates under the principle that “increased compliance is the goal, and enforcement actions are not the only tool for achieving this goal.” The OECA added that under the new approach, states would be provided more opportunities to engage with the EPA in the development of NCI decisions. But PEER views the revised program as an excuse to go soft on polluters. According to PEER, the OECA will now allow offenders to avoid prosecution by merely agreeing to stop committing violations. PEER had previously voiced similar concerns about the drawdown of the EPA’s civil enforcement activities. In March 2018, PEER reported that the number of new civil cases initiated in 2017 was nearly one-third the total for 2009 and one-fifth fewer than the number of cases filed in the prior year.